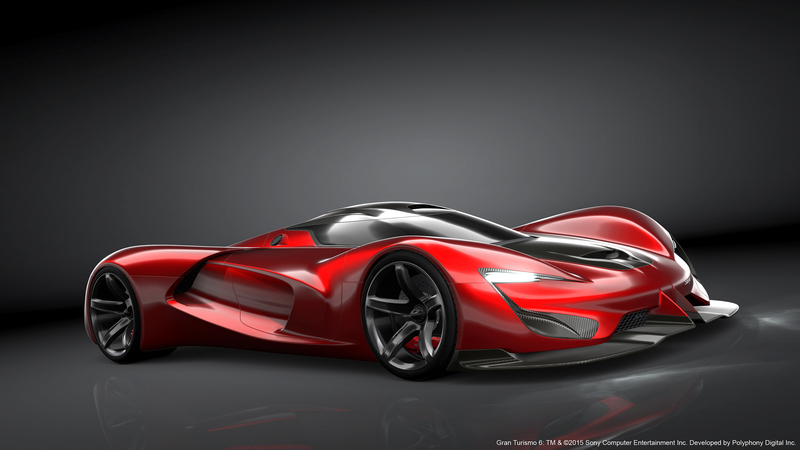 Making its debut today, FCA US LLC’s latest concept car, the SRT Tomahawk Vision Gran Turismo, is a single-seat concept that pulls from existing and potential technologies to test the limits of performance. 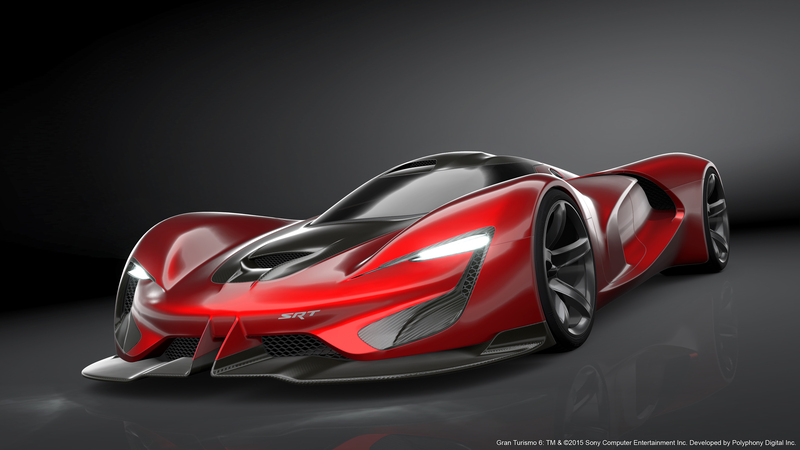 Gran Turismo®6 (GT6™) fans can stretch those limits on the virtual track this summer when then the V-10, 2,590 combined horsepower SRT Tomahawk Vision Gran Turismo X launches exclusively in GT6 for the PlayStation®3 console. 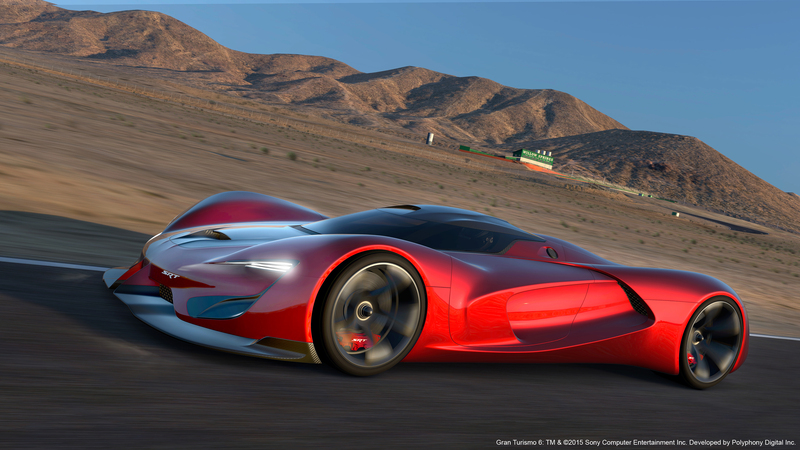 The SRT Tomahawk Vision Gran Turismo is the latest addition to the Vision Gran Turismo project where automakers, design houses and leading brands around the globe showcase special concept vehicles exclusively in Gran Turismo®, one of the most popular video game franchises in history. 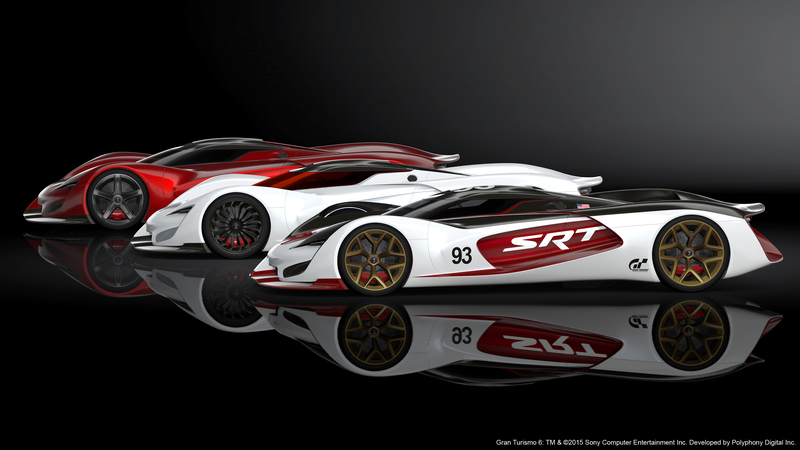 Beginning summer 2015, players can access three powerful versions of the SRT Tomahawk Vision Gran Turismo by successfully completing online challenges of varying degrees of difficulty in GT6. 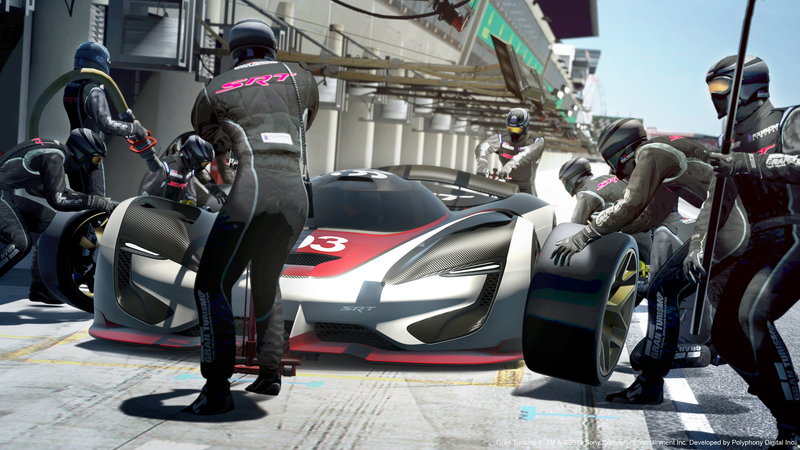 After completing the challenges, players will find the entry level SRT Tomahawk Vision Gran Turismo S, the racing version GTS-R and the experimental technology ultimate version X concept vehicles in the game’s SRT garage. 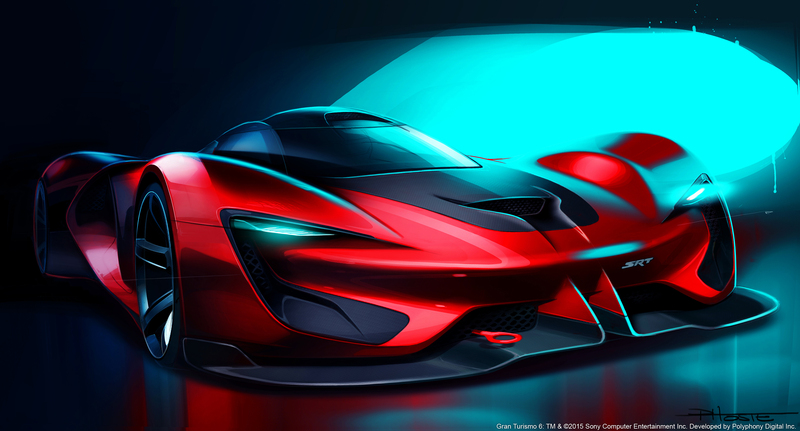 The extreme exterior look of the SRT Tomahawk Vision Gran Turismo was born from an internal design competition that sought a futuristic (2035) interpretation of a high-performance Dodge. 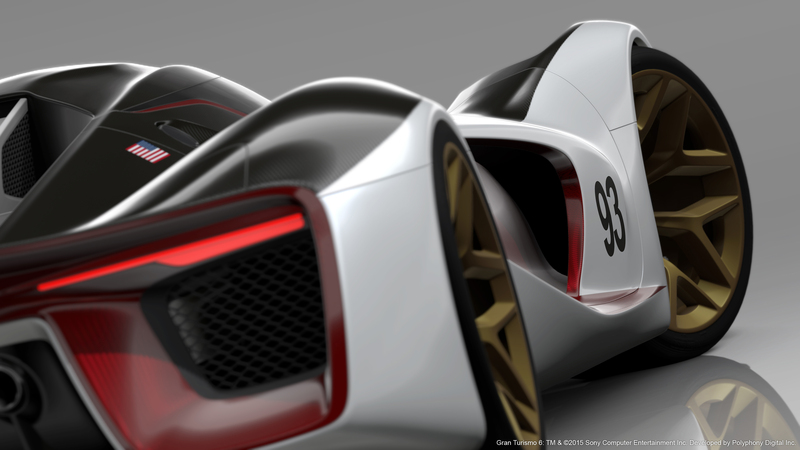 But this single-seat car is more than just digital design fantasy. 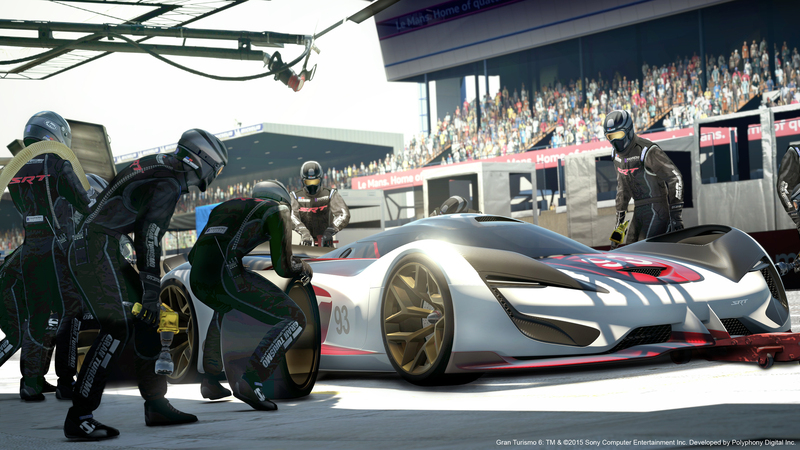 The popularity of video games among the members of the FCA US design studios meant that giving the GT6 assignment to one person or one studio was not an option. 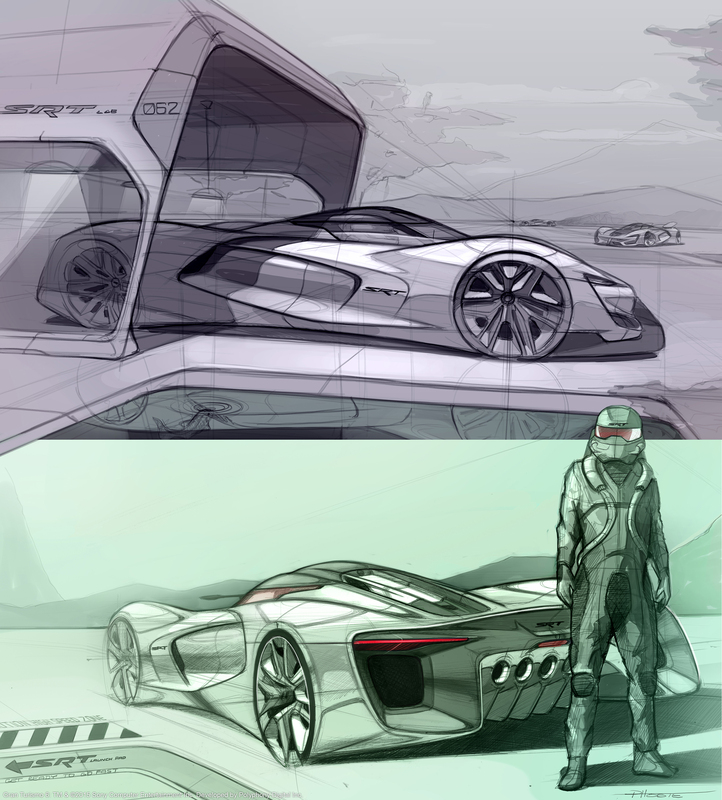 Everyone, from interns to seasoned designers, was invited to submit a sketch. As a result, designers worked on their sketches in their spare time, weekends and after hours producing a flood of proposals. At the conclusion of the judging process, Paul Hoste was selected as the winner. 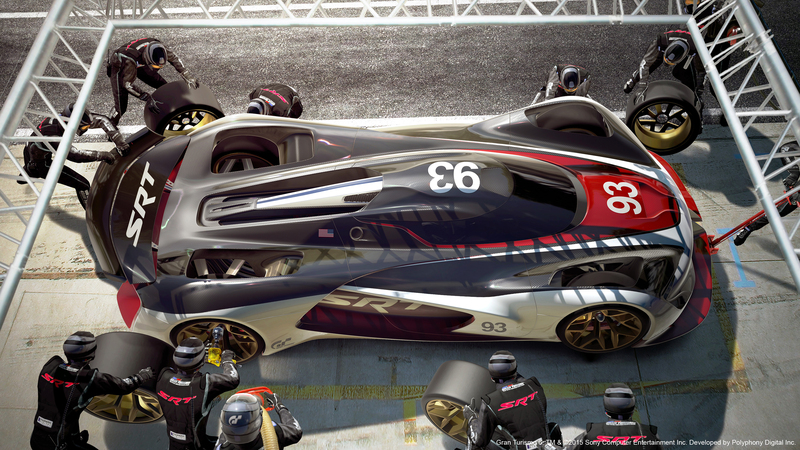 Hoste, a young designer and new to FCA, grew up playing Gran Turismo. 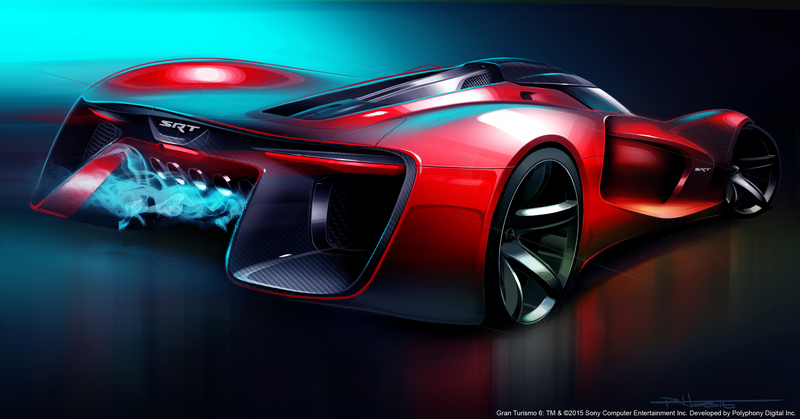 He was inspired by concept art and gravitated toward a design that had amped up, voluptuous curves that paid homage to iconic Dodge performance vehicles. A large air intake for engine cooling is mounted on the hood. Active panels mounted above the front and rear fenders are constantly moving, via pneumatic assist, to create the optimal amount of aerodynamic downforce for braking assist and traction under acceleration. 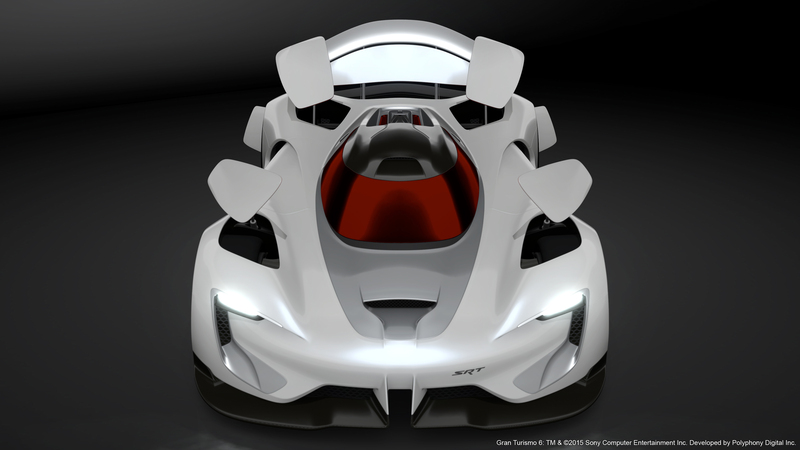 An overhead view of the SRT Tomahawk Vision Gran Turismo is marked by a “pinched-waist” silhouette. An exposed aluminum spine channels air to help cool the V-10 engine. 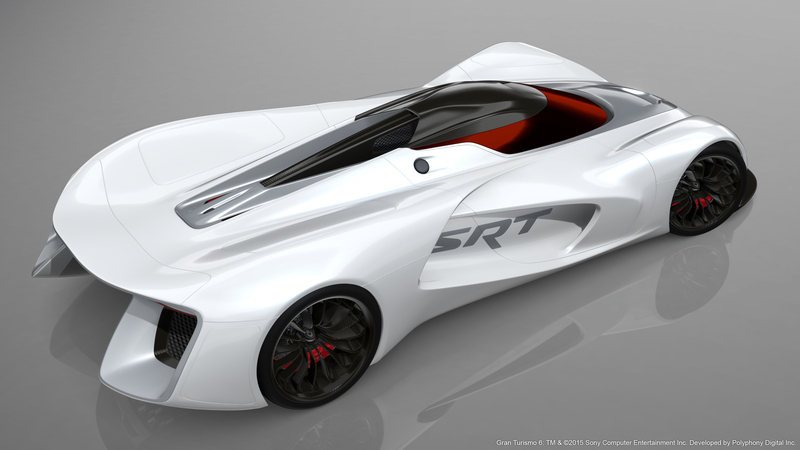 Hoste worked closely with SRT engineering to optimize the hard points and performance numbers of his design for function and aerodynamics. 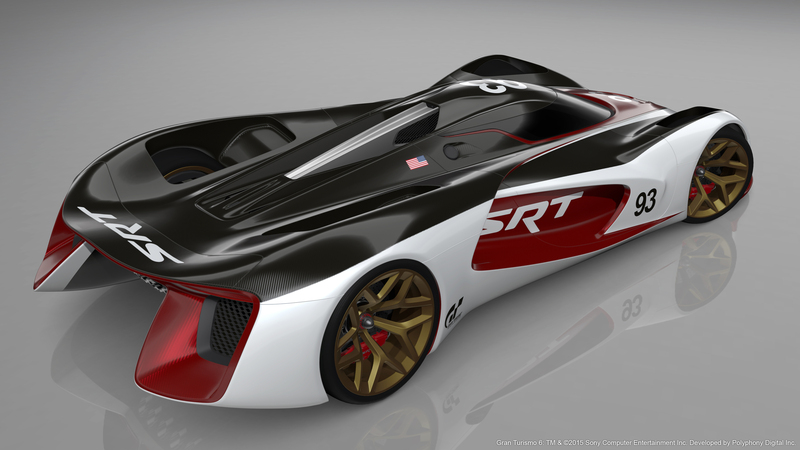 With a full set of engineering and performance specifications developed by the SRT engineering team at FCA US, the capabilities of the SRT Tomahawk Vision Gran Turismo are rooted in an effort to push performance just beyond the limits of known science. 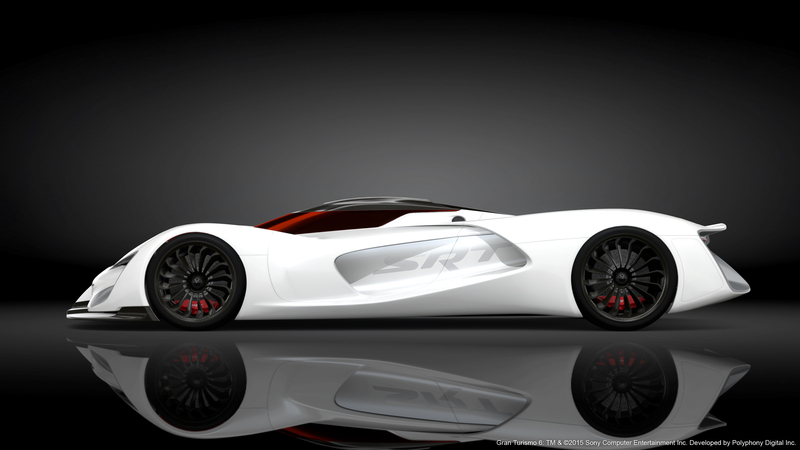 The entire vehicle design, from the driver position to the nearly flat layout of the V-10 engine, is intended to achieve the lowest possible center of gravity. 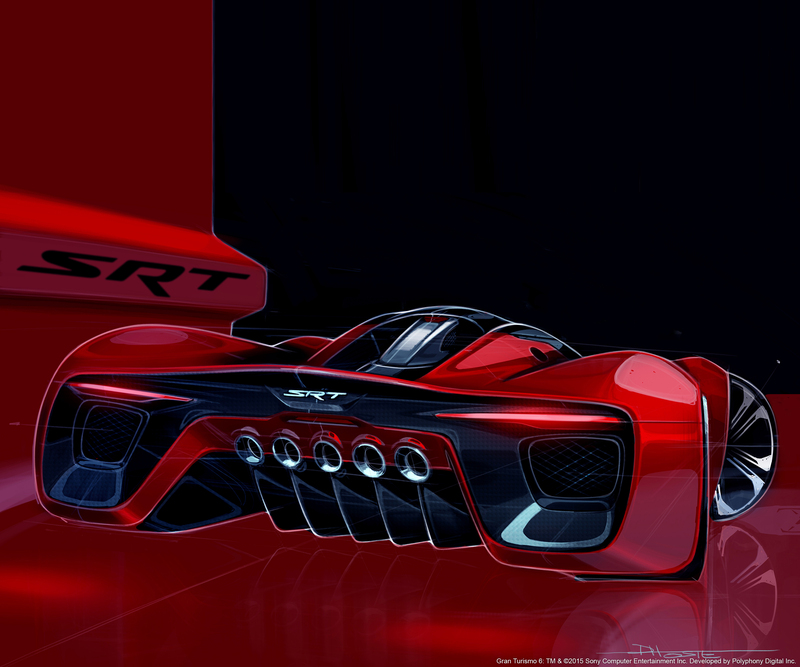 The SRT Tomahawk Vision Gran Turismo was engineered and developed to the same uncompromising standards as any SRT vehicle on the road today. 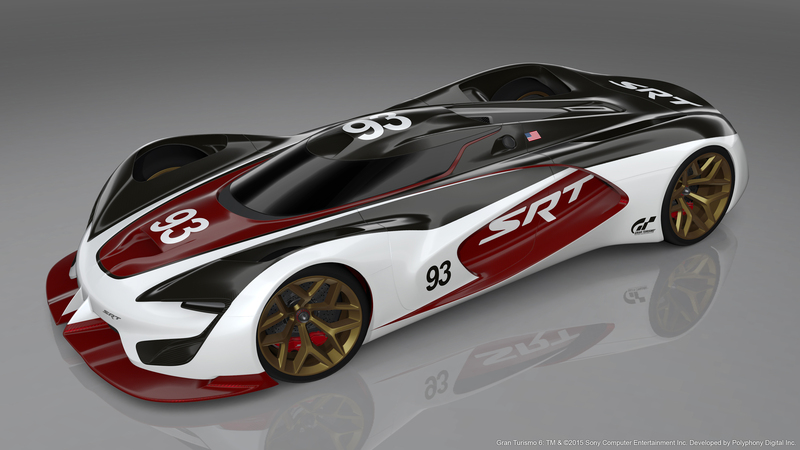 SRT engineers also worked in their spare time and on weekends to create three extremely fast cars that test the limits of human physiology. 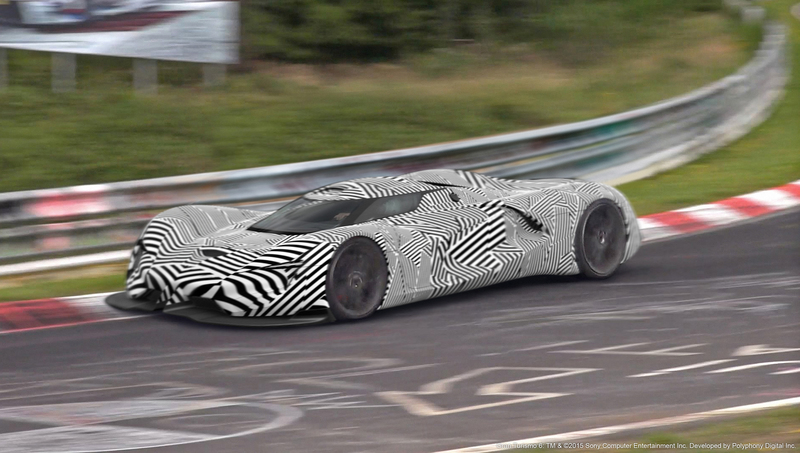 Ultra-lightweight materials used in the chassis and body work result in a car that weighs just 1,658 pounds in its ultimate performance configuration – just slightly heavier than a current day Formula One race car. 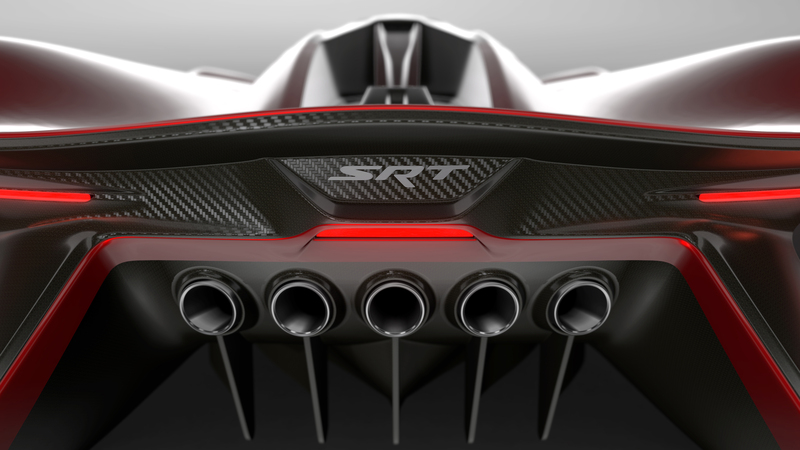 Rear wheels are powered by a wide-angle (144 degrees) V-10 engine that delivers up to 2,168 horsepower. Front wheels are pneumatically driven independently. 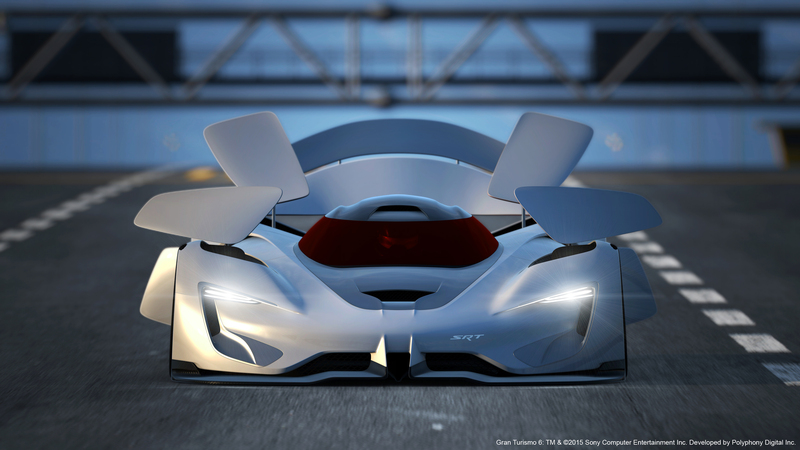 Combined with the V-10 powertrain, the SRT Tomahawk Vision Gran Turismo boasts up to 2,590 hp. 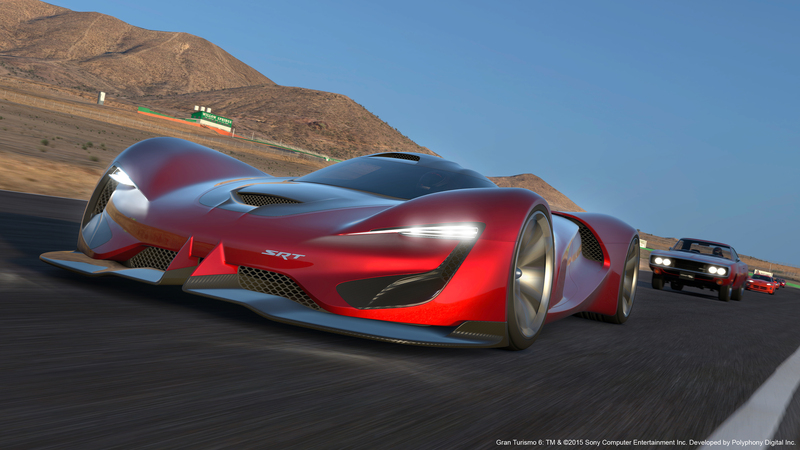 Maximum performance version the SRT Tomahawk Vision Gran Turismo rolls with 1.56 hp per pound. In addition to the front wheel power unit, pressurized air drives fast-actuating aerodynamic body panels for enhanced braking/traction performance, and activates driver’s G-suit during extreme maneuvers. 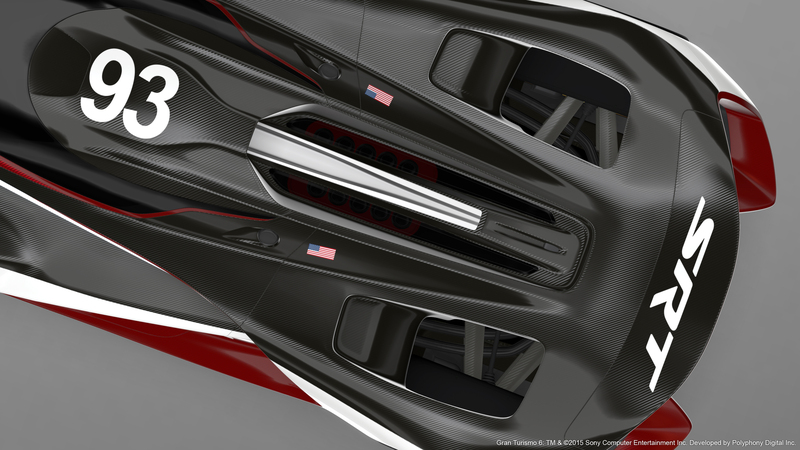 Pressurized air is stored in tanks integrated into SRT Tomahawk Vision Gran Turismo’s chassis to negate any weight penalty. 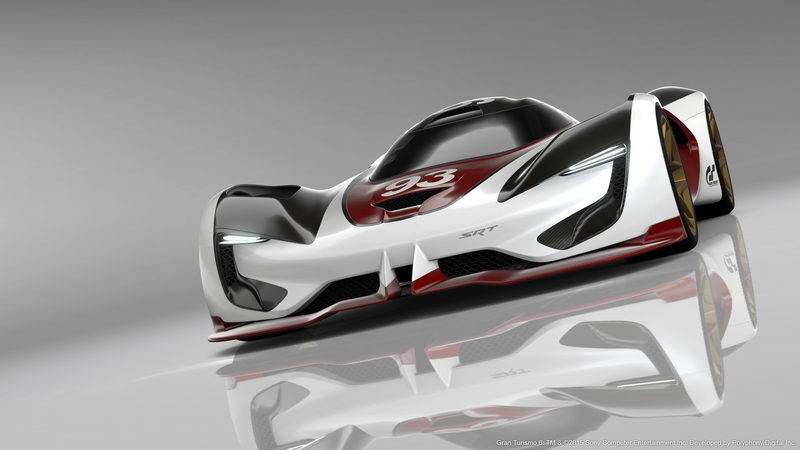 Entry-level S: Game players must first master the base version of the SRT Tomahawk Vision Gran Turismo. The 7.0-liter wide-angle V-10 is tuned to deliver 792 hp (compared with 645 hp for the 8.4-liter V-10 in the 2015 Dodge Viper). The pneumatically driven front wheels add 215 hp, for total system output of 1,007 hp. 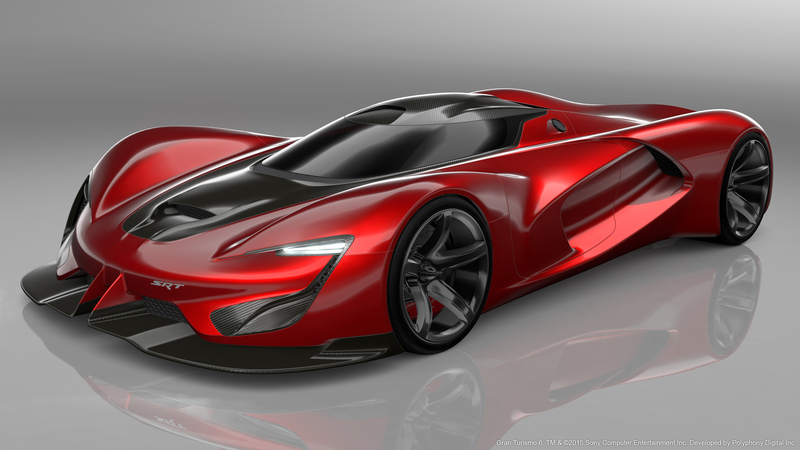 With a curb weight of 2,026 pounds, this version of the SRT Tomahawk Vision Gran Turismo is the heaviest, yet it has a top speed in excess of 250 mph. 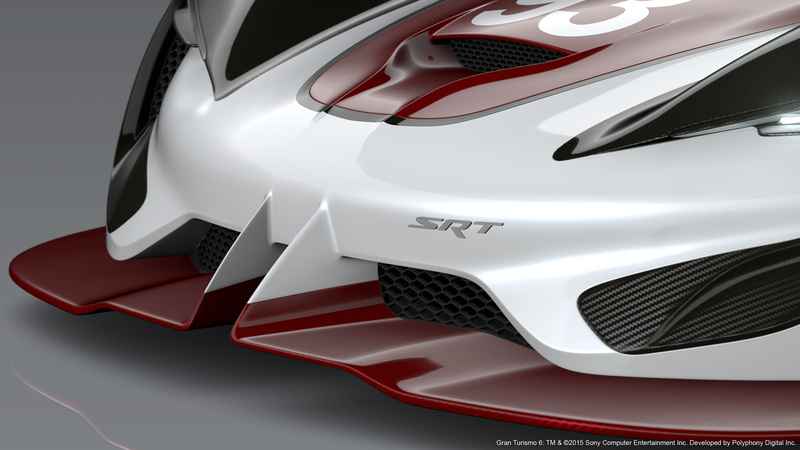 Racing version GTS-R: Race tuning pushes output of the V-10 to 1,137 hp, while the air-driven front wheels add 313 hp for total system output of 1,450 hp. 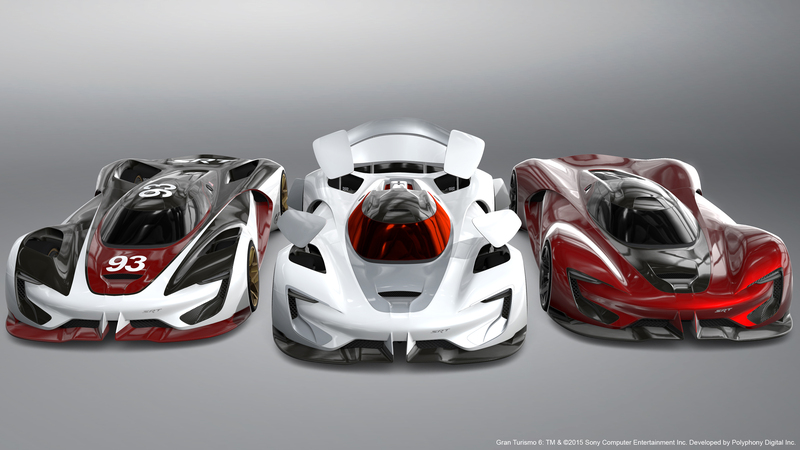 Aggressive weight-cutting techniques whittle the curb weight of the Tomahawk Vision Gran Turismo GTS-R to 1,459 pounds (the lightest of any version) and the top speed in excess of 300 mph. 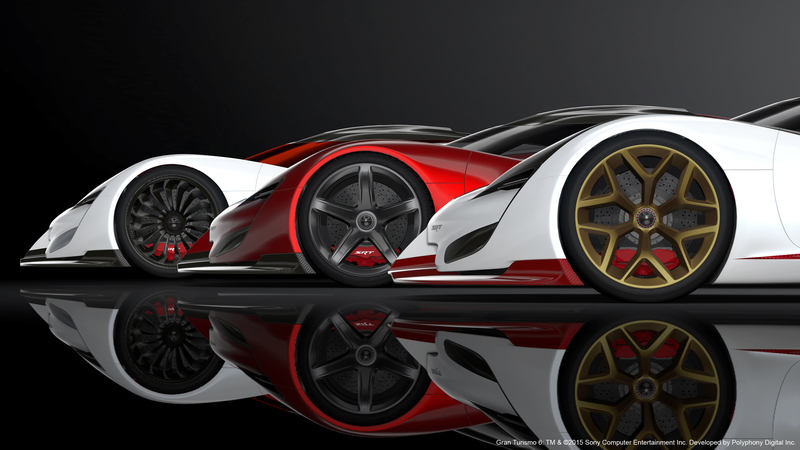 Experimental technology ultimate version X: This is the ultimate Tomahawk Vision Gran Turismo. 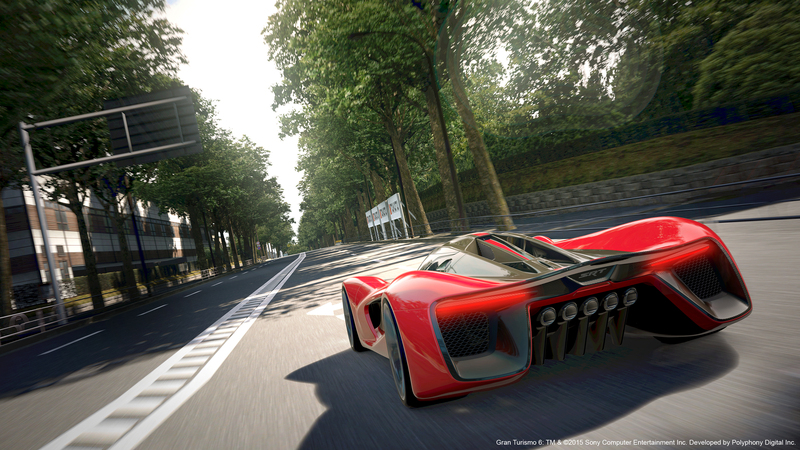 With a redline set at 14,500 rpm, the V-10 engine pumps out 2,168 hp (nearly three times the output from the base Tomahawk Vision Gran Turismo S) The front wheel drivetrain contributes an additional 422 hp at peak, for total output of 2,590 hp. 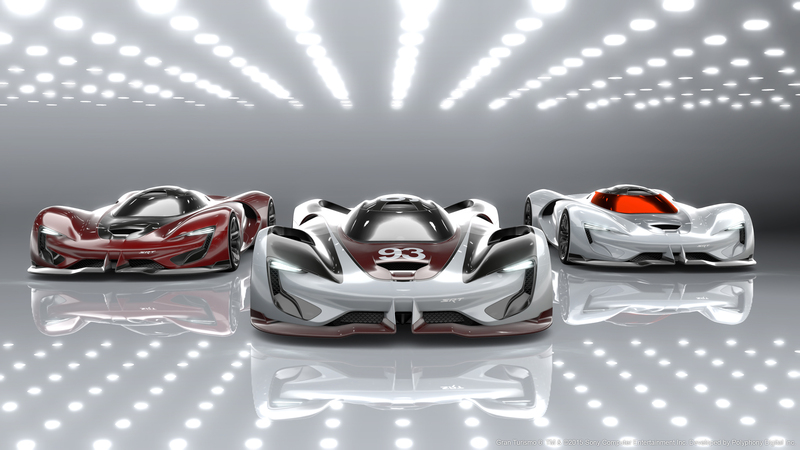 That gives the Tomahawk Vision Gran Turismo X a top speed of 404 mph. 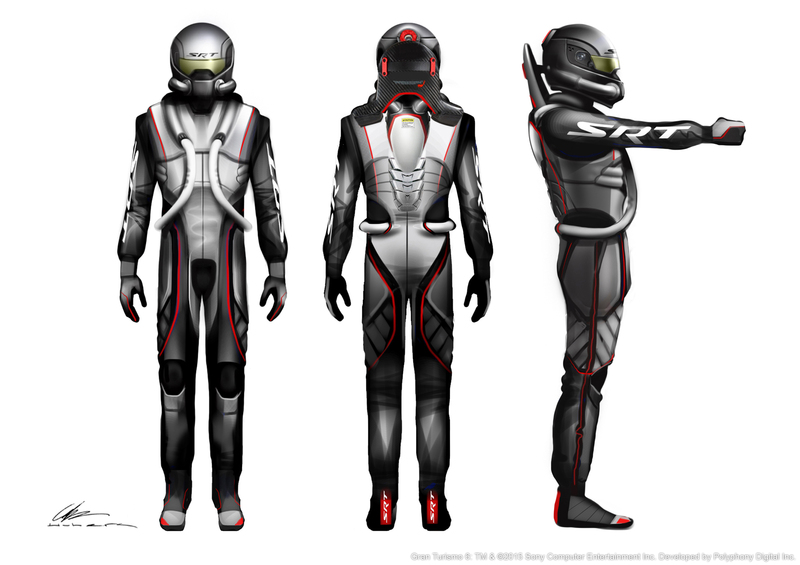 Due to the extreme performance of the X version, the driver is required to wear a G-suit for protection. 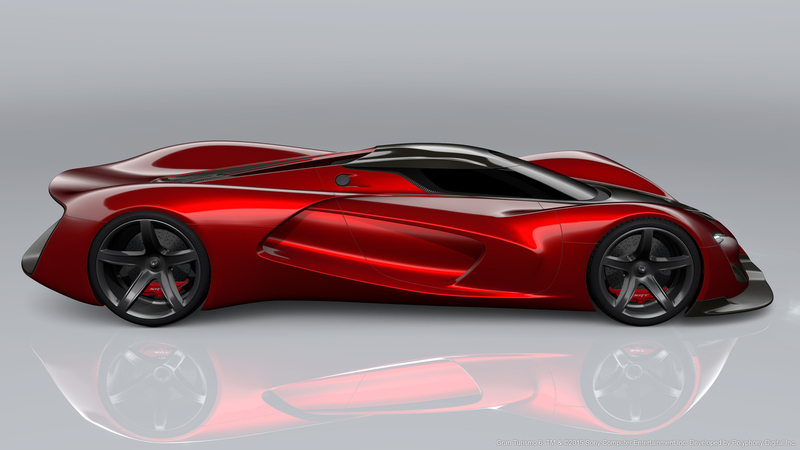 The single-seat, mid-engine, all-wheel-drive SRT Tomahawk Vision Gran Turismo uses a purpose-built composite chassis. The chassis uses emerging and advanced materials, including hollow carbon nanofibers and graphene micro-lattice structures. Filament-wound pneumatic cylinders are integral structural elements laminated into the chassis. To assist in cooling the carbon brake disks, the pneumatic front power unit builds up a “chill-sink” with expanding air during power delivery. This chill-sink is used to deliver required brake cooling with a minimal amount of air flow, thus greatly reducing aerodynamic drag. In order to withstand the massive cornering and down force loads, next-generation compounds and construction were used to create the tires. The on-board pneumatic system continuously monitors and adjusts tire pressures according to the vehicle demands. 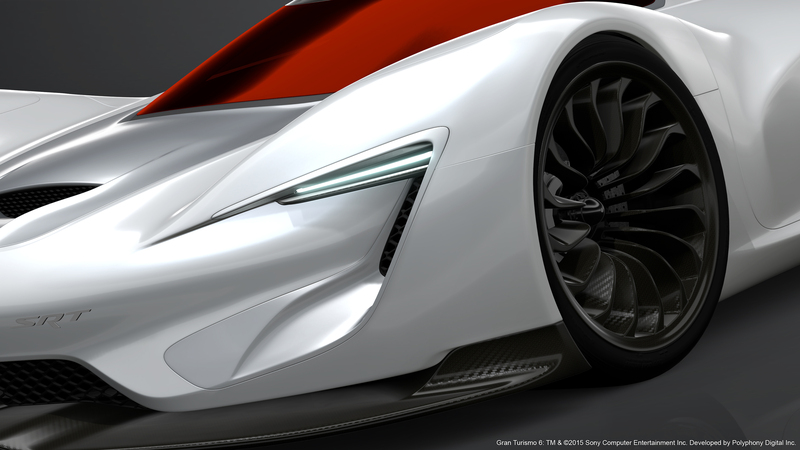 While the V-10 engine drives the rear wheels, the SRT Tomahawk Vision Gran Turismo’s front wheels are linked to a variable-fin quad-stage pneumatic power unit that can quickly store and release energy. 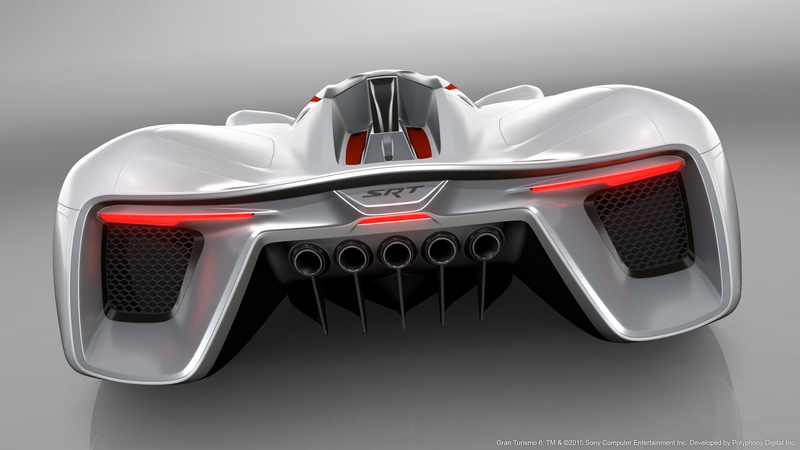 When the Tomahawk Vision Gran Turismo’s brakes are activated, or the V-10 engine is not at max power, the pneumatic power unit compresses air into the long, composite tanks that are structural members of the chassis. 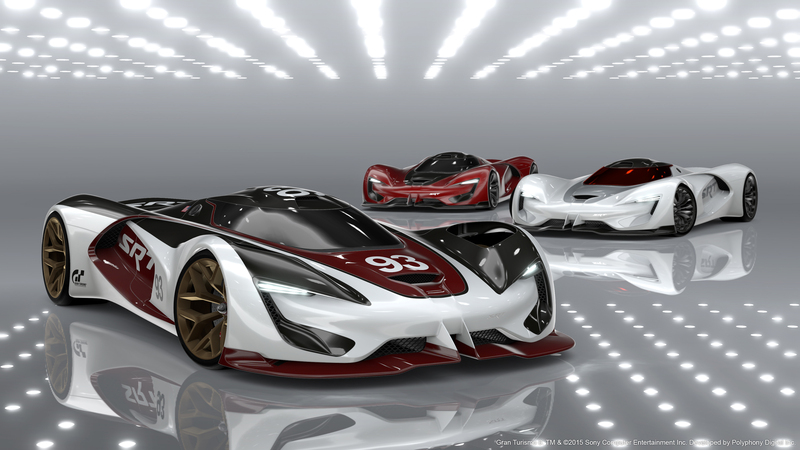 The compressed air is released to drive the front wheels, power the Tomahawk Vision Gran Turismo active aero panels and pressurize the driver’s G-suit in the Tomahawk Vision Gran Turismo X.
SRT engineers called for an aggressive aerodynamic strategy to manage airflow at extreme speeds. 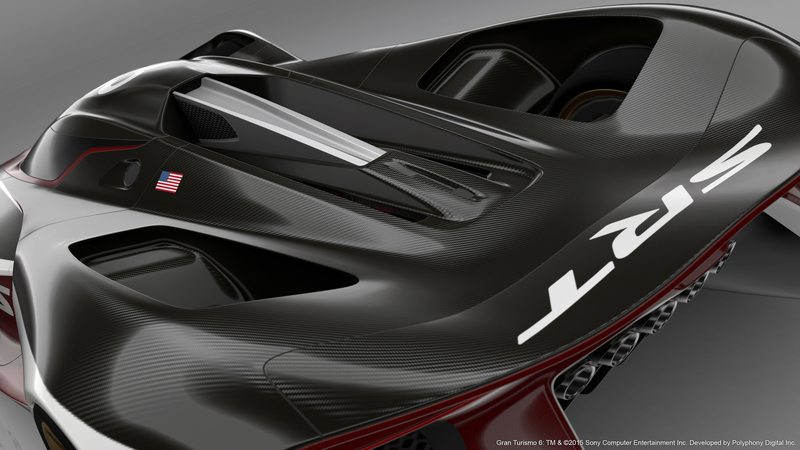 The Tomahawk Vision Gran Turismo’s aerodynamic system reacts to inputs from a forward scanning laser system that detects surface changes. The computer controls anticipate changes in vehicle ride height, pitch and yaw and adjust the splitter accordingly. 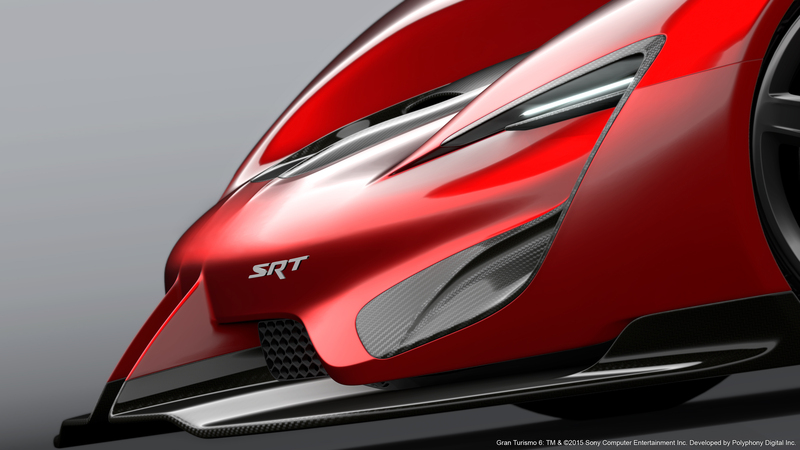 The SRT Tomahawk Vision Gran Turismo not only generates a tremendous amount of downforce, it also generates yaw force, normally seen in aircraft. There are nine active aerodynamic panels and two front splitters that actively steer the car through the air and help the vehicle corner at extreme speeds. These aerodynamic features are constantly adjusting to track conditions and driver inputs in order to provide the highest level of down force when needed. 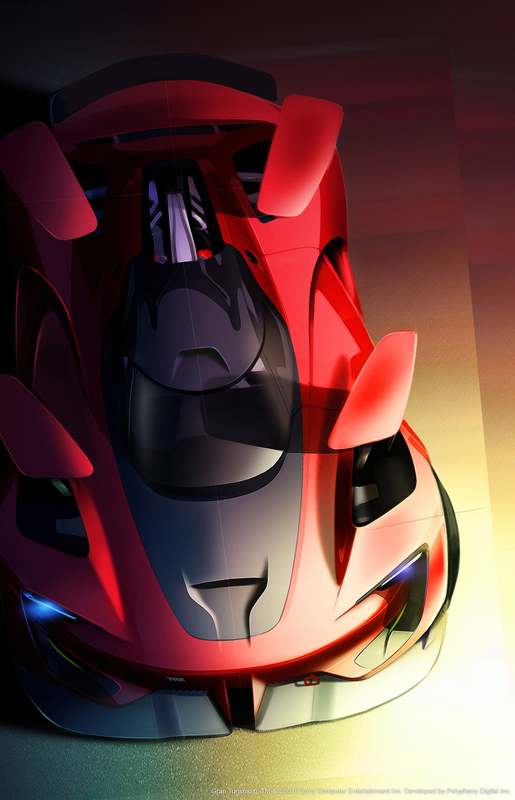 However, in a top speed run, the panels can be tucked to create a slippery, low-drag shape. The V-10’s exhaust system is routed to the rear diffuser in a series of paired runners. Flow from the exhaust works in conjunction with the active aerodynamic system to provide an acceleration of underbody flow at the rear of the car and create a blown diffuser effect that increases down force without a negative effect on drag. 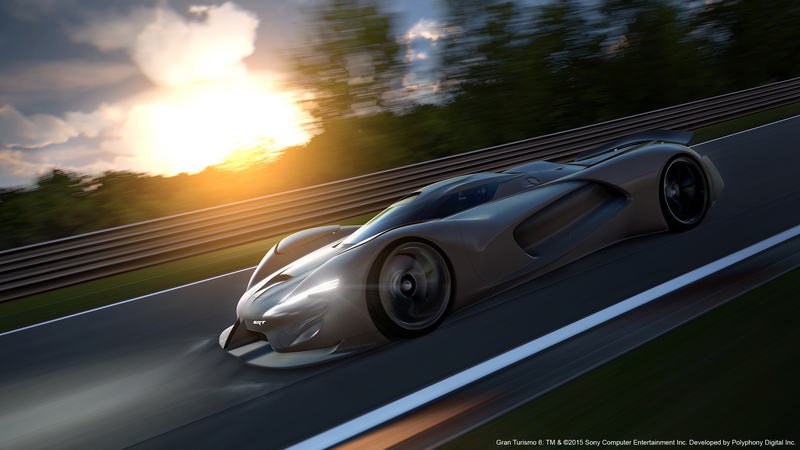 Pneumatics also drive the Tomahawk Vision Gran Turismo’s suspension. 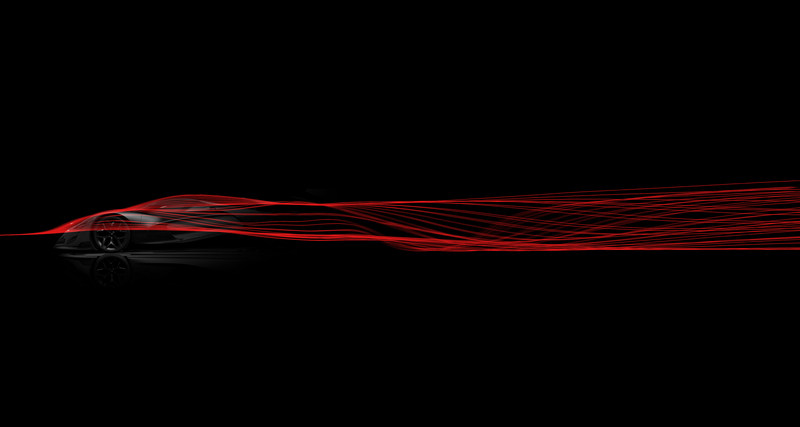 The car rides on a set of variable-rate pneumatic springs with adjustable jounce and rebound damping. A revolutionary active camber system adjusts the wheel knuckles to “lean” the vehicle into turns, with each wheel angling outboard or inboard to maintain the optimum tire contact patch and highest possible mechanical grip.